What makes a word funny? Michael Hingston (@mhingston) has written for Wired, the Guardian, and The Walrus. He edits the Short-Story Advent Calendar. He started checking in with friends and colleagues to see whether they had the same reaction, and the response was nearly unanimous. 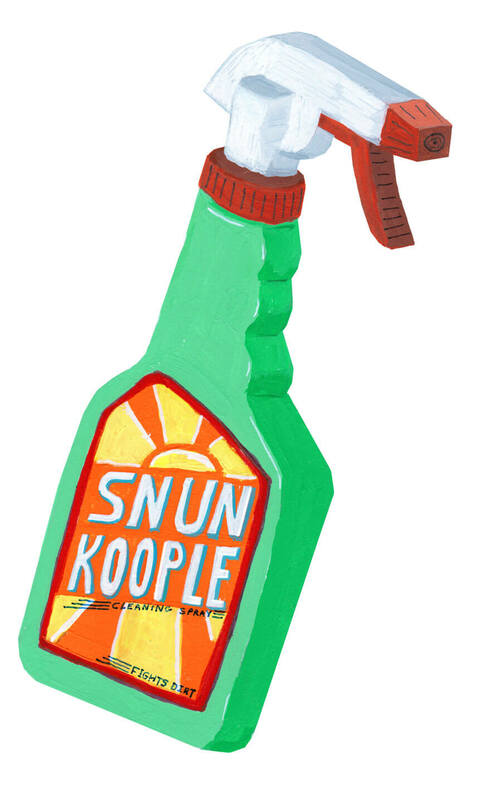 Snunkoople was funny. But why? In a recent paper published in the Journal of Memory and Language, Westbury presents what he believes could be the answer: the inherent funniness of a word, or at least of context-free non-words, can be quantified—and not all nonsense is created equal. According to Westbury, the less statistically likely it is for a certain collection of letters to form a real word in English, the funnier it is. (The playwright Neil Simon seemed to grasp this implicitly in his 1972 work, The Sunshine Boys, in which an old vaudevillian tells his nephew, “If it doesn’t have a k in it, it’s not funny!”—k being one of the least frequently used letters in the alphabet.) Fluent English speakers, Westbury says, are accustomed to words sounding a particular way. So when they come across unusual clusters of letters or syllables, their expectations are violated. The by-product of that violation is laughter. This theory, of humour as a function of incongruity, isn’t new. Westbury’s paper traces its influence all the way from Aristotle to Charlie Chaplin. In the eighteenth century, the German philosopher Immanuel Kant defined laughter as “an affection arising from the sudden transformation of a strained expectation into nothing.” But Westbury zeroes in on the work of another German philosopher, Arthur Schopenhauer, who in the nineteenth century proposed that this response was scalable—that there was a direct correlation between a joke’s subversiveness and its power to amuse. Westbury decided to test Schopenhauer’s hypothesis using Shannon entropy—an equation that can be employed to determine the chances a given letter will appear next in a sequence—as his guiding metric. He ran two studies. In the first, he presented participants with a computer-generated list of some 5,928 made-up words to see which ones they found comical. Those that sounded rude shot straight to the top of the scale; five of the six funniest were whong, dongl, shart, focky, and clunt. Westbury decided that those quasi-vulgarities had to go because they triggered associative biases. He wanted nonsense in its purest form. For the second study, Westbury and his team created a new selection of made-up words, filtered for crassness. The researchers made sure that the new non-words were easily pronounceable and that they didn’t violate typical English spelling rules. (Whether or not they found it amusing, no one would mistake, say, xxxxxxx for a real word, and most would be hard-pressed to pronounce it.) Participants then ranked Westbury’s words on a scale of funny to not-funny. The results of the studies were clear: participants consistently judged the same non-words to be funny, even when they didn’t sound vulgar (among the PG-rated consensus winners were hablump, jumemo, and finglysiv). And the more strange­sounding the word, the funnier the participants deemed it to be. Westbury and his colleagues believe that, taken together, the studies represent the first quantitative test of Schopenhauer’s nearly 200-year-old hypothesis. The results square intuitively with our everyday lives as English speakers. Many of the funniest fake food products from The Simpsons, for example—including Duff beer and the intriguingly vague Tubbb!—score low on Westbury’s probability scale. Dr. Seuss elevated the creation of nonce words to an art: even children with a loose grasp of the English language understand that Wumbus and Yuzz-a-ma-Tuzz are meant to be laughed at. In fact, Westbury analyzed sixty-five of Seuss’s made-up words and confirmed that they, too, were reliably lower in probability. While these studies mark a steady step into the wobbly terrain of quantifying humour, Westbury isn’t sure where the research will go from here. Nonce words are relatively easy to create, but most forms of humour, he says, are more difficult to measure. In the course of his research, Westbury attended open-mic comedy nights at a local bar in Edmonton. Once, he watched a ten-minute bit about a cyclist getting spiders stuck in his hair. It was hilarious, but, Westbury remembers thinking to himself, How would you ever quantify this kind of thing? Until he figures that out, he’ll always have snunkoople.